Self levelling pump screeds are applied in liquid form, which self smooth as they are installed. They are usually fast curing and can receive light foot traffic within 4 hours following application. Self levelling pump screeds are laid at reduced thickness compared to semi dry (sand / cement) type screeds. Self levelling pump screeds are usually packaged in 25kg sized units in a dry powder form and can be mixed by hand or for larger areas a screed pump is used, enabling over 1500m2 areas to be installed in a single day. 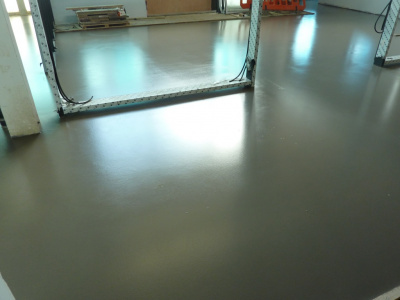 There are a wide range of self levelling pump screeds available, however it is recommend that only cementitious based levelling screeds are used in conjunction with resin floor systems. 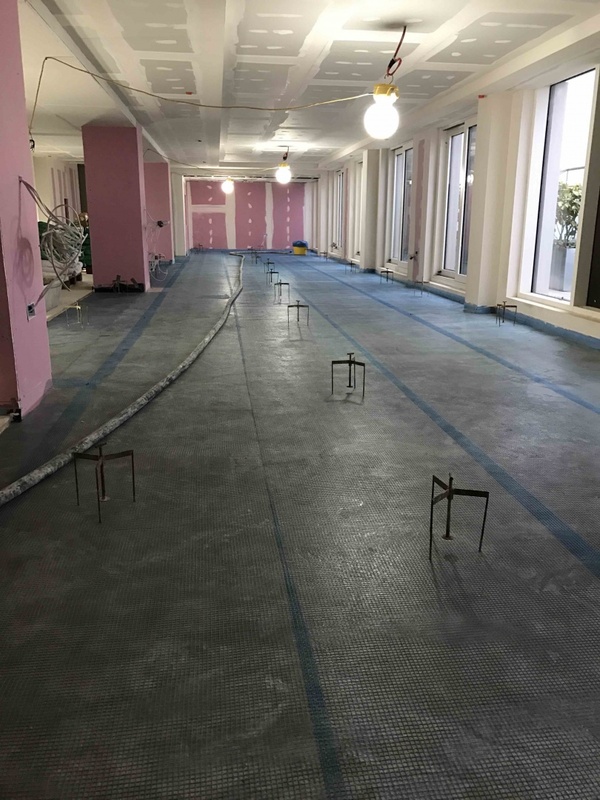 We do not recommend the installation of any type of resin floor over a latex based levelling compound due to potential compatibly issues and that generally, latex based levelling screeds do not attain sufficient compressive strength (Nmm2) once cured. Generally self levelling pump screed are used as a levelling screed or surface subfloor improver prior to the application of a resin finish, although some are designed as ‘wearing screed’ in their own right, like Flowcrete’s Industrial Top and Mapei’s Ultratop. Fibre reinforced levelling screeds contain tiny fibres already in the screed mix. These often have the advantage of being more flexible, allowing application over timber subfloors, and Under Floor Heating (UFH) systems. 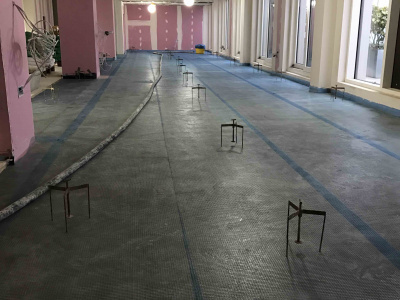 In addition to fibre reinforcement, specialist fibreglass matting can be incorporated into the body of the screed, providing additional strength and improved resistance to cracking. 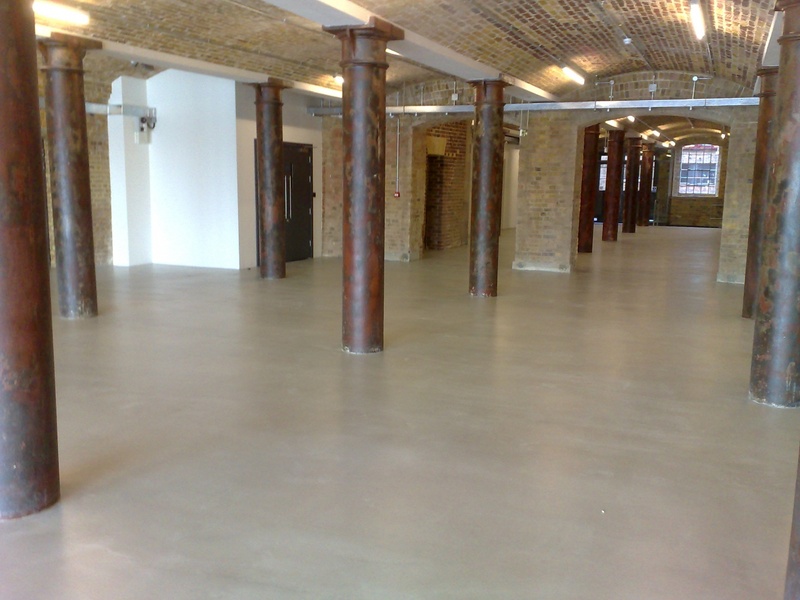 We supply and install self levelling pump screeds from all the major manufacturers, including Flowcrete’s Isocrete screeds and the full range of Mapei’s self levelling screeds.